Emergency food becomes necessary if disaster strikes and your grocery stores must close or have run out of food. Interestingly, grocery stores only stock approximately one week’s worth of food at any given time. So running out is a real possibility, particularly if they’re forced to close due to bad weather or can’t get resupplied. The question then becomes how much food should you store to keep your family safe. The government would have you believe that 72 hours is plenty of time for them to restore critical infrastructure and save your family. I’m here to tell you that is baloney. You only need to look at recent cases around the U.S. to find that’s not correct. From Hurricane Katrina, Harvey and Irma into the California wildfires and many floods that occur every year. You should attempt to store a minimum of 30 days worth of emergency food for every family member. Attempting to stockpile more than a few months worth of meals or even a year’s value is unrealistic and wasteful. It’s unrealistic because attempting to store that food will require you to control various things such as temperature and humidity. You will need to rotate the food to ensure it doesn’t spoil or become destroyed by pests. Also, if you’re forced to evacuate you will not be able to carry all your food, so you will have to abandon it. Unless you’re an expert in storing your food, the process will become inefficient. And even if you’re an expert, you’ll still experience loss due to pests, rodents, and insects. You’ll also be made to inspect your food regularly and toss out anything that’s contaminated and spoiled. This process is not only inefficient and time-consuming but could lead to very low morale for your loved ones. For a better manner, consider storing freeze-dried food which has a very long shelf life. The freeze-drying process used to make mountain house freeze-dried food keeps the finest qualities of the food. More importantly, it keeps the natural enzymes in the food, so you’re eating healthy. 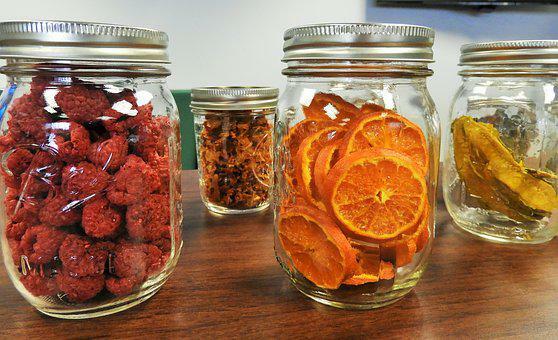 The freeze-dried food is created using three fundamental processes. First, they supply quality raw ingredients. Secondly, their freeze drying food equipment has distinct benefits over others, making their meals taste, look and stay fresher, weigh less and retain more nutrients. Others, merely assemble freeze-dried ingredients in a package.